So I don't know if anyone remembers me, but I was here in the beginning. Hey, guys! That became my avatar across many forums. The original artwork did not have the boxing gloves or rocket pack; I added those later in response to what happened next. Fast-forward a few years....during the production of Babylon 5: The Lost Tales, the direct-to-DVD B5 project, one of the FX crew who was working on the show--and who was also a member of the Firstones forums--asked for artwork submissions from forum members that he could use for Starfury "wing art". 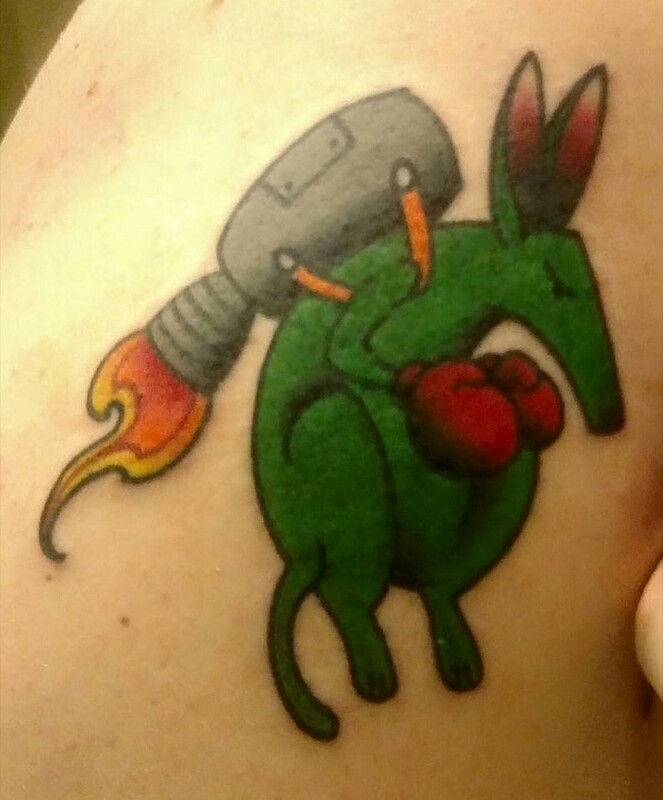 I submitted rocket-powered aardvark, as I thought it fit pretty well with the fighter squadron art theme. That was back in 2007, and many of the older FirstOnes.com forum members know about this. Fast forward again to 2015. 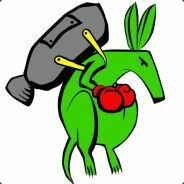 I've used this image since highschool (prolly ~2002) and have used KillerArdvark as my callsign/gamertag since as well. Always shortened Aardvark to Ardvark because #1 two A's is just pointless, and #2 most of the time I have to shorten it due to character limits anyways. All the way down to KllrRdvrk sometimes. I don't recall where I first saw it, but some time ago I set out to find where it was from. I was looking into getting a tattoo and your image was in the running. I ended up going for the skull Boba Fett has on the side of his armor. But your image is still in the running for a future one. 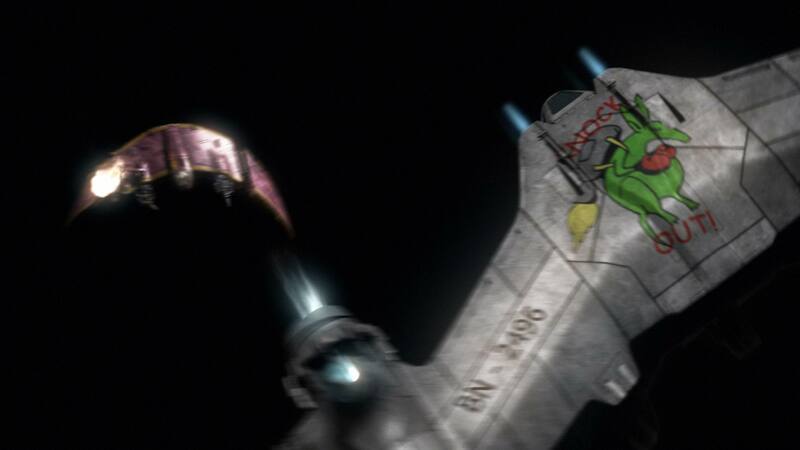 I did end up finding the FirstOnes forum and was excited to see that it was a "nerdy" image and was even in an intro for Babylon 5. So maybe in the future, with your blessing of course, I may sport it in ink! Anyway, just wanted to pop in and say "hi", and share with you guys something that started out on FirstOnes.com and ended up on TV and then on someone's arm. Haha that's awesome! A pretty sweet looking tattoo too! "Firstones forums: Birthplace of the killer aardvark". Did I totally miss this? I don't remember ever seeing someone mention your aardvark being in The Lost Tales. Of course, I only ever watched it once, so obviously it's something I would miss. The Old One has surfaced. Hi there, man! And good to see you around SamuelK! Yes; we just haven't found any sci-fi to complain about for a few days. As did Star Wars, but it looks like we ran out of things to complain about pretty fast for that one. Well, I'm going to see it later today, so maybe I'll be able to complain about it then!